Mardi Gras 2010, a GREAT celebration! 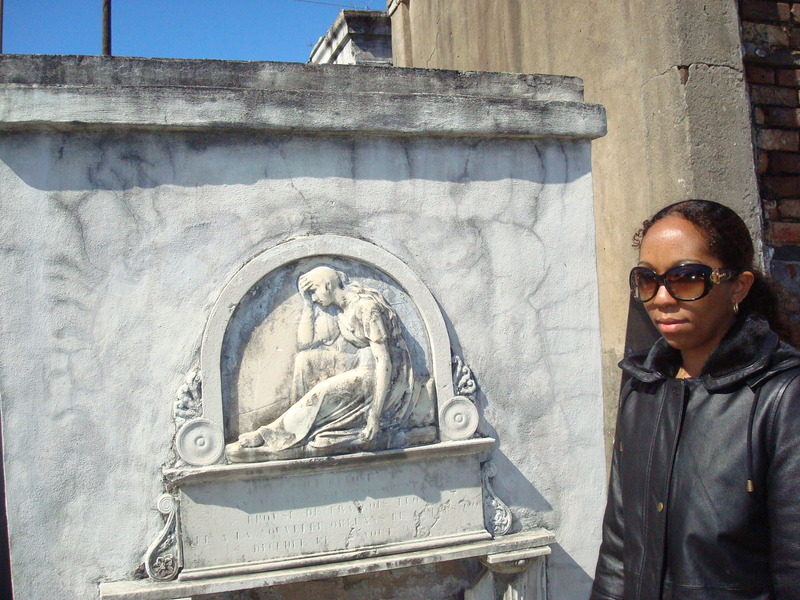 My family and I went to the cemetery near Basin St. to visit Marie Laveau’s gravesite. I didn’t mark her grave, I saluted her and left. 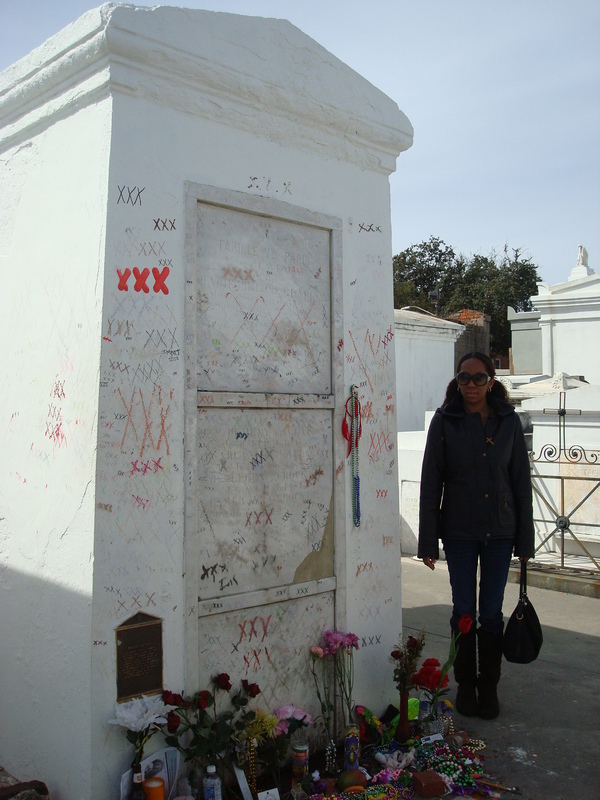 On this page I dedicate some space for Queen Marie Laveau. 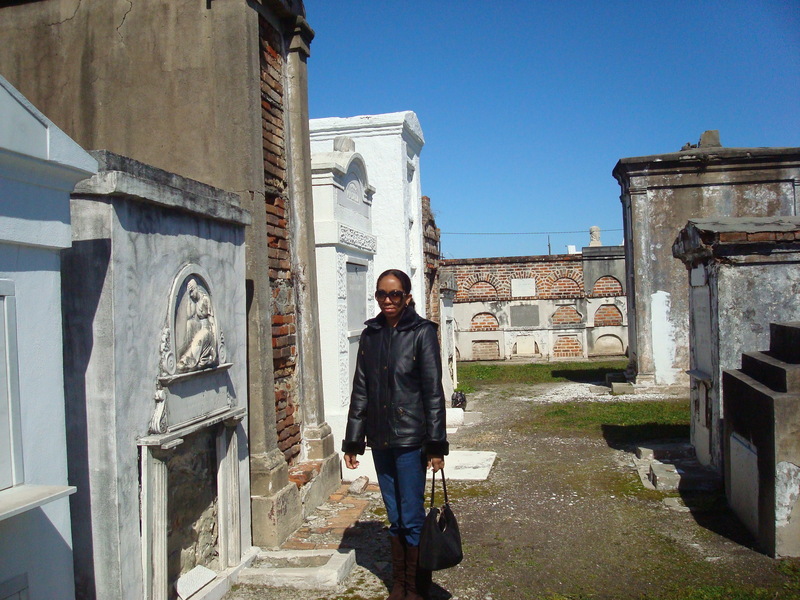 Honor be to Queen Marie Laveau! 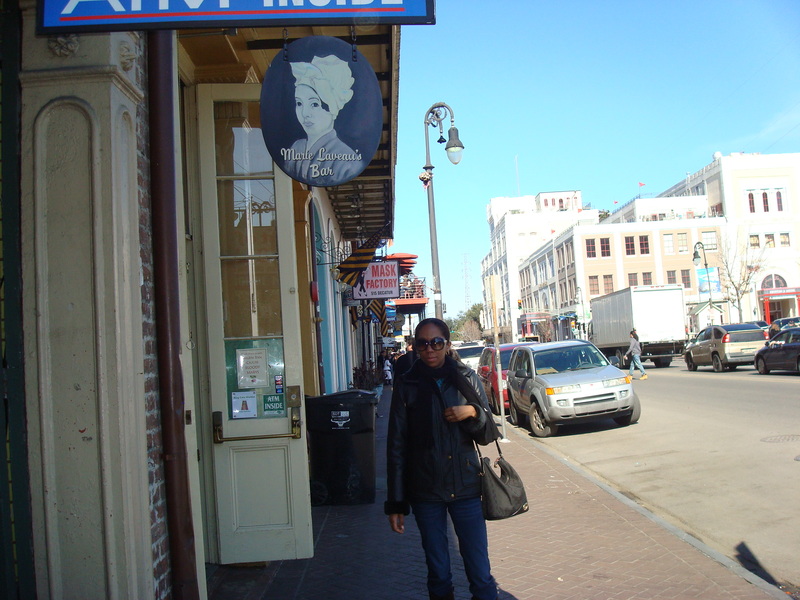 Here I stand near a lounge named after the great New Orleans Vodou queen Marie Laveau. 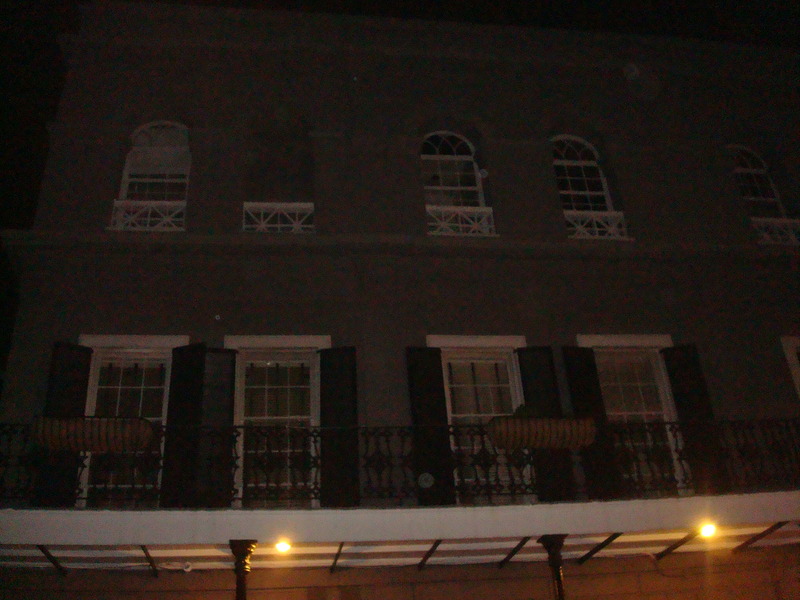 My family and I cruised around the French Quarter, busy taking snapshots, so we didn’t stop for a drink just yet! 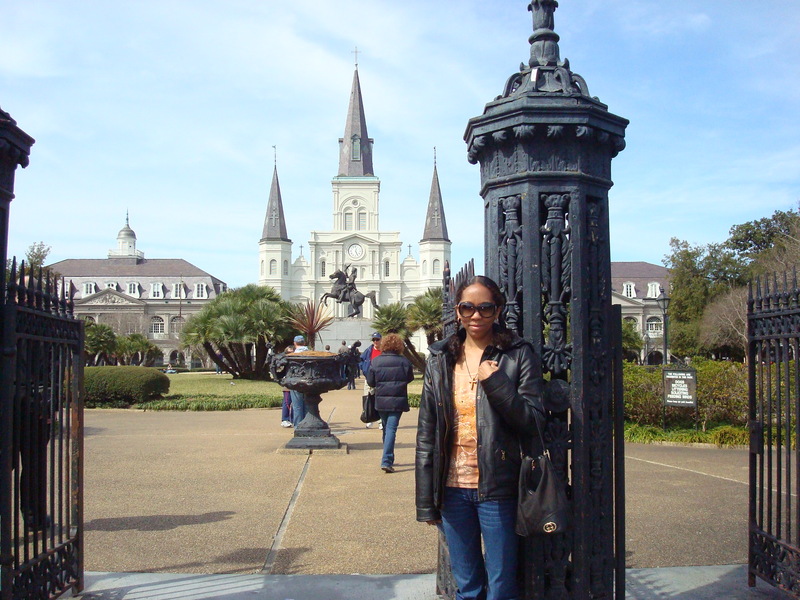 Here I pose In front of the gateway to St. Louis Cathedral In New Orleans, LA. 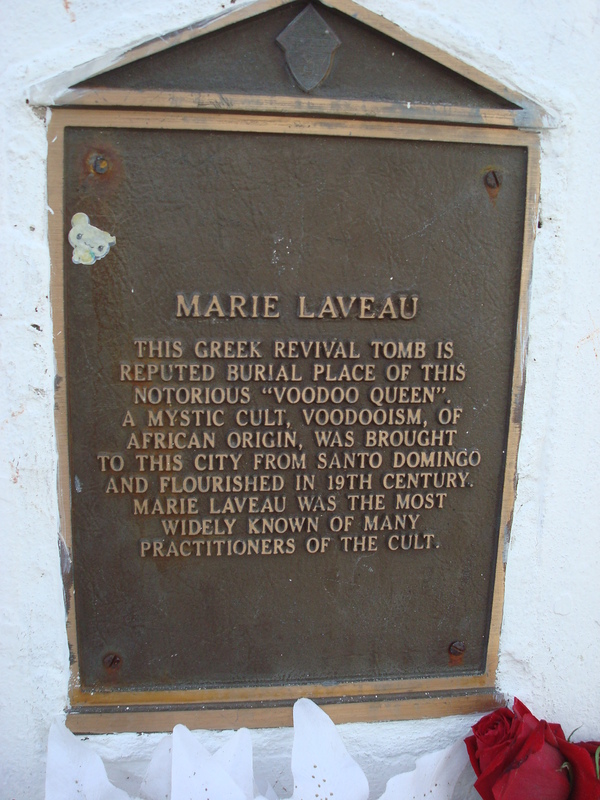 Marie Laveau would attend mass and church regularly here. 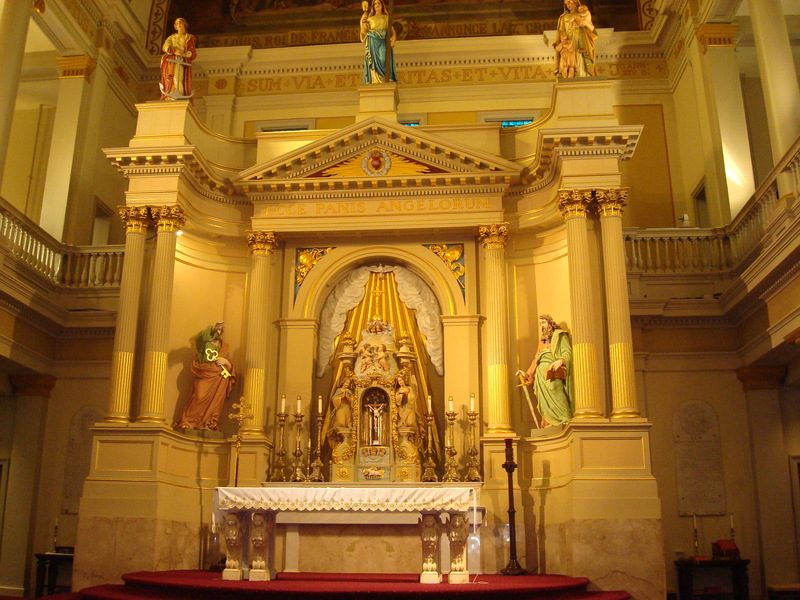 This is a snapshot of the altar inside St. Louis Cathedral, in New Orleans, Louisiana. Learned an interesting fact from our tour guide, if ever you get lost, the church is the center of the city! 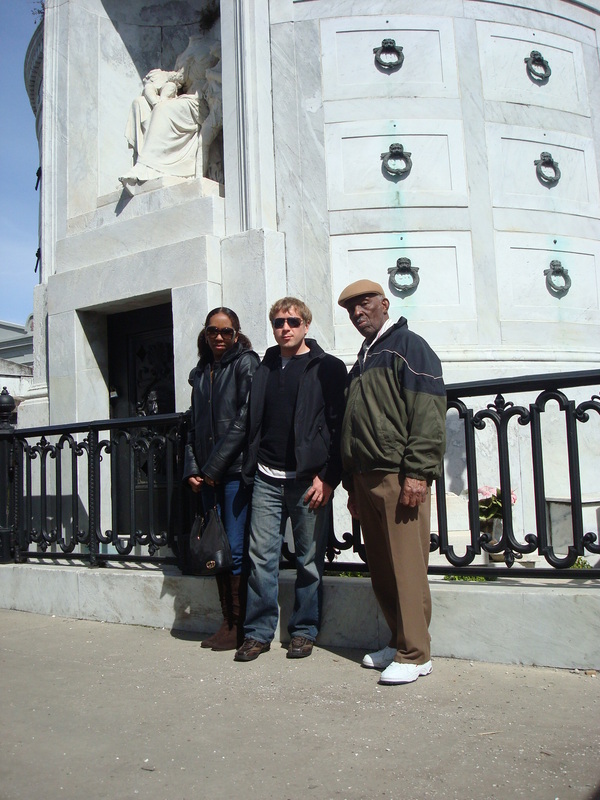 Me, my brother, and my grandfather posing with musician Fats Domino! My grandfather is a native to New Orleans, born in the 9th ward raised up with really cool country folk! Fats Domino is an actual childhood friend of my grandfather, they used to hang out and play together! He is another famous Creole of New Orleans just like Marie Laveau. 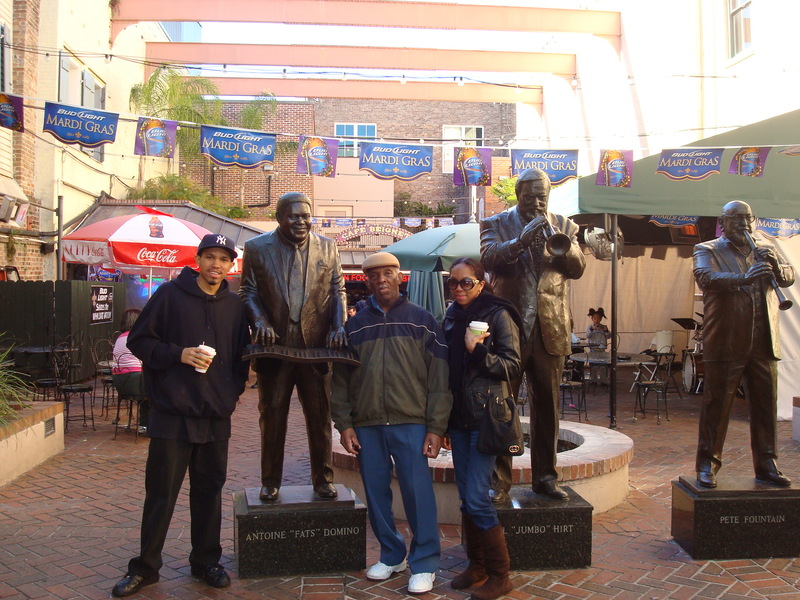 Here we are above, posing near the outdoor jazz cafe in the French quarter! 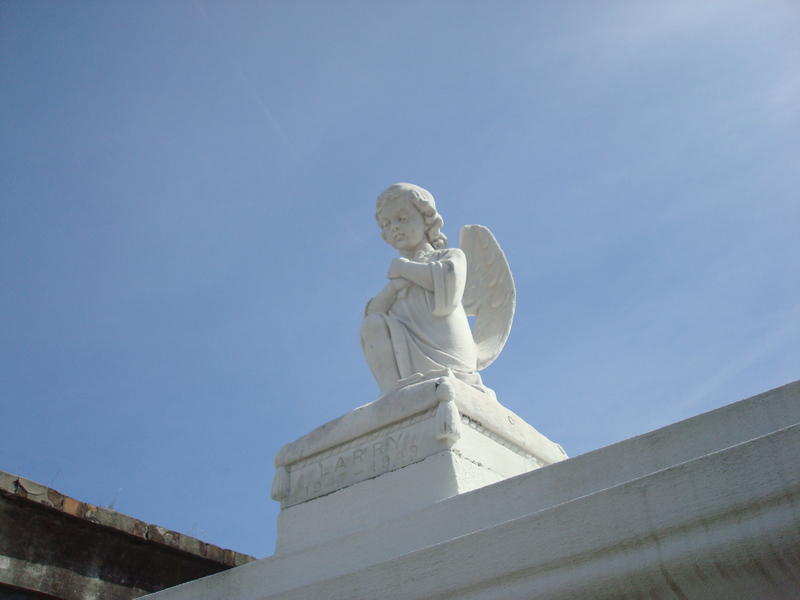 My snapshot of a beautiful cherub watching over a tomb in St. Louis Cemetery No.1 New Orleans, Louisiana. Death is not the end and life is eternal. Which is what I learned from Vodou, the lwa and God. I don’t fear being near the “dead” or the places they now rest or reside. I know that my body is my shell and my spirit is forever. My grandfather is one of my biggest role models in my life. He has taught me alot about longevity and living life to the fullest no matter how “old” you are. No matter who goes first or last, I know that I have God, the lwa, and the ancestors. And oneday my family and I will all be together again in spirit, for always. Looks like you had fun, I love New Orleans and your artwork is wonderful. Hello! Thank you very much! New Orleans will always be my home away from home. My heart is there with my ancestors. I must read your books! I have not been to West Virginia before but I hear your ghost tour there is one of the best in the country, I’ll have to go oneday! I’ve noticed the young man on your photo is called Lubov…. Russian ;-)? Hello there! Yes I call my husband Lubov and he calls me zaichik, bunny LOL! 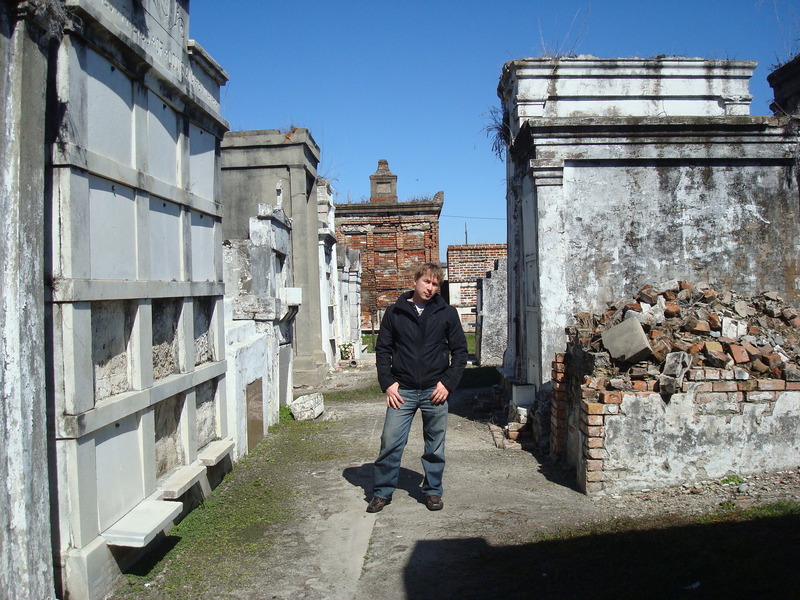 He loved New Orleans, he said It reminded him of St. Petersburg with the old style architecture. Thanks Mark!! New Orleans is awesome you gotta go if you haven’t been!